Tennessee trails its all-time series with Gonzaga 1-4, dating to 2007. This is the fifth time the teams are playing at a neutral site. This is the third meeting between the programs since Rick Barnes arrived at Tennessee prior to the 2015-16 season. The Vols are 8-7 all-time against current members of the West Coast Conference. 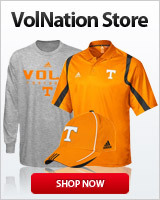 Be Tennessee's fifth all-time win over the top-ranked team in the Associated Press poll. Give Rick Barnes his 19th head coaching win over an AP top-five team and his first over the AP's top-ranked team. Move Rick Barnes into a tie with Gary Williams for 25th on the all-time Division I wins list. Barnes was an assistant coach under Williams at Ohio State during the 1986-87 season. Sunday's game is part of the inaugural Jerry Colangelo Classic. The doubleheader also features a matchup between Nevada and Grand Canyon. This is the first time in program history that UT has faced multiple teams ranked in the AP top five before the start of SEC play. Top-ranked Gonzaga boasts the nation's second-best field-goal percentage at .530. Tennessee, however, owns the nation's fourth-best defense in terms of field-goal percentage, allowing opponents to shoot just .355. Tennessee's 21.0 assists per game rank third nationally, while Gonzaga ranks tied for fifth (20.1 apg). Grant Williams leads the SEC in scoring (20.4 ppg) and ranks second in field-goal percentage (.593) and rebounding (8.9 rpg). As a team, Tennessee leads the SEC in field-goal percentage (.499), field-goal percentage defense (.355), 3-point defense (.287), assists per game (21.0 apg) and assist/turnover ratio (1.7). Tennessee has scored 96 more points in the paint than its opponents this season (13.7 ppg). Tennessee is 4-13 all-time against the No. 1-ranked team in the Associated Press poll. Of those 17 previous meetings with the AP's top-ranked team, Kentucky has been the opponent 11 times. The Volunteers are 4-4 in their last eight games against the No. 1 team in the nation. Tennessee's victories over America's top teams have come against: Kentucky (69-62 on March 5, 1966, in Knoxville), South Carolina (55-54 on Dec. 6, 1969, in Columbia), Memphis (66-62 on Feb. 23, 2008, in Memphis) and Kansas (76-68 on Jan. 10, 2010, in Knoxville). UT's most recent clash against a No. 1 team came at home against Kentucky on Feb. 17, 2015, as the Vols fell to top-ranked Wildcats, 66-48. Gonzaga head coach Mark Few has the nation's top-ranked team and one of the most talented squads in the country. The Bulldogs (9-0) entered the season at No. 3 in the country before claiming the top spot after defeating then-No. 1 Duke, 89-87, for the Maui Invitational title in November. During the tournament, Gonzaga also beat Illinois and Arizona. The Zags are coming off wins over Creighton (on the road) and Washington. Gonzaga's success so far is a direct result of its high-powered offense that sits at No. 1 in the country in field-goal percentage (.530) and No. 2 in scoring (96.4 ppg). Similar to Tennessee, the Bulldogs like to pass the ball to find the open shot, averaging 20.1 assists per game to rank fifth in the nation, one spot behind the Vols. Junior forward Rui Hachimura is one of the best players in the country, averaging 22.3 ppg and 6.2 rpg while shooting 58 percent from the floor. He is a projected first-round pick in the 2019 NBA draft. Brandon Clarke is averaging 16.4 ppg, 8.1 rpg and 3.4 bpg. The redshirt junior forward ranks fifth in the nation in field-goal percentage (.721) and has posted four double-doubles in eight games. Gonzaga's offensive weapons don't stop there, as a pair of All-WCC first-team honorees hold down the backcourt for the Bulldogs. 2018 WCC Newcomer of the Year Zach Norvell Jr. is second on the team in scoring (18.1 ppg) and is a nightmare for opponents beyond the arc (30 3-pointers made). He's also averaging 5.6 rpg and 3.8 apg. Josh Perkins rounds out the double-digit scorers for Gonzaga at 11.3 ppg and also ranks third in the country in assists with an impressive 8.3 apg. After trailing by as many as 21, Tennessee fought back to within a couple possessions of No. 8 Gonzaga, but the second-half push went no further as the Vols fell to the unbeaten Bulldogs, 86-76, at Bridgestone Arena on Dec. 18, 2016. Tennessee was led offensively by junior guard Detrick Mostella, who spurred the Vols' comeback attempt with 15 of his 17 points coming in the second half. Grant Williams added 11 points while Robert Hubbs III finished with 10. Billed as The Battle on Broadway, Sunday's game between Tennessee and Gonzaga was a rematch of last season's Battle in Seattle. This season's edition played out in a similar fashion as the one before it, with the Bulldogs jumping out to a big early lead and the Vols nearly erasing it. Facing a 14-point deficit at halftime, Tennessee finally whittled the Gonzaga lead to single digits with 8:42 to play when Mostella knocked down a pull-up jumper. A Bulldog free throw pushed the lead back to 10, but Mostella promptly buried one his three 3-pointers on the night to make the Gonzaga lead 68-61 with 7:12 to play. A trey from Lamonté Turner and a put-back from Jordan Bowden in the ensuing minutes got the Vols to within four at 70-64. Gonzaga answered with a 5-0 spurt, but another rally—highlighted by a Lew Evans three and a tough jumper in the lane from Hubbs—had the Vols within striking distance again at 75-71 with 2:26 to play. It was as close as UT would come, though, as Gonzaga's Josh Perkins hit a jumper late in the shot clock and the Bulldogs ultimately saw out the game at the foul line. Tennessee forced 20 Gonzaga turnovers and pulled in a season-high 20 offensive boards. Really great info. Thanks for putting this together for us. And if we build a second half lead like we did against Kansas and the last 2 times we played UNC, finish. In coach Barnes we trust. Dear basketball gods, please let us blister their tails on the day of the lord. Please, let grant williams baptise these fools. I will be watching from the Spokane area. GOVOLS!!! Looked like our watch party was going to get snowed out here in Farragut but the big melt is underway. C'mon - can we PLEASE win this one? Vol Nation deserves an epic feel-good W...it's been awhile and roundball is our only hope for the forseeable future. IMHO, the only shot UT's got at beating the zags out there is to just look back at the Kansas game and display they've been listening to Coach Barnes's admonitions; that is, for them to beat the other team by driving into the paint and making long jumpers the second option, and not the first. Had they done this against Kansas, FTs, fouls, and those fouls leading to having to lighten up on shooters and rebounders, would be the opponent's bane, and not vice versa as happened versus KU. Guards: Drive first, shoot second. Do that and keep defending like you are, and you may win this big game. Got it? In before the FF invasion. Build the wall! Hoping to pull off an upset, let's play smart today. You're doing the right thing. Real men take care of family, and people are more important than games. Being a positive example will yield results that last beyond your lifetime. Not to worry, we got a couple that gives excellent summary post after the game ! In such emergencies, I go radio silent and watch on DVR or watchESPN as soon as I'm free. Jordan Bone and Bowden have to play the game of their love's for us to stay close.